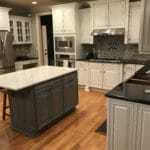 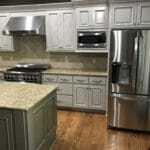 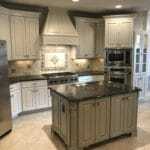 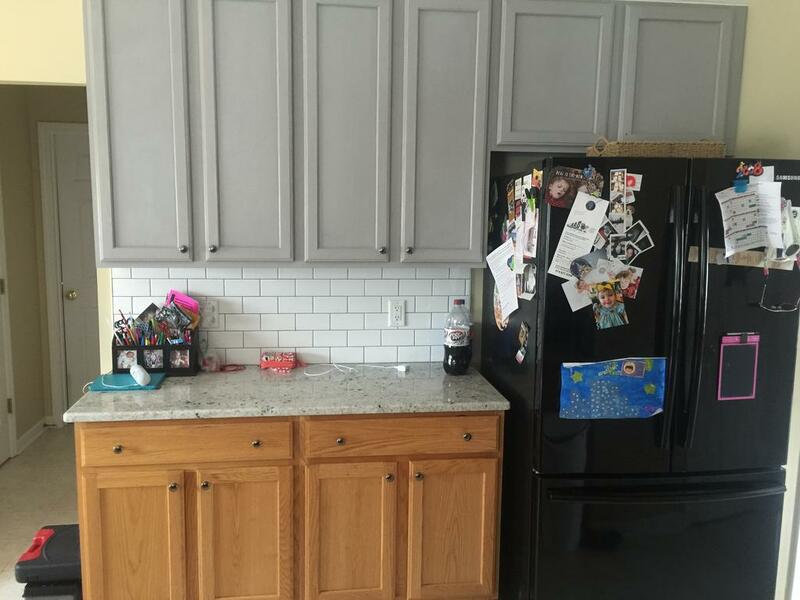 Benjamin Moore Pewter ties together the backsplash and granite and makes everything more cohesive. 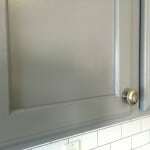 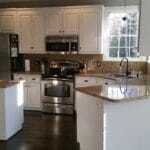 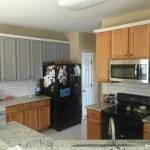 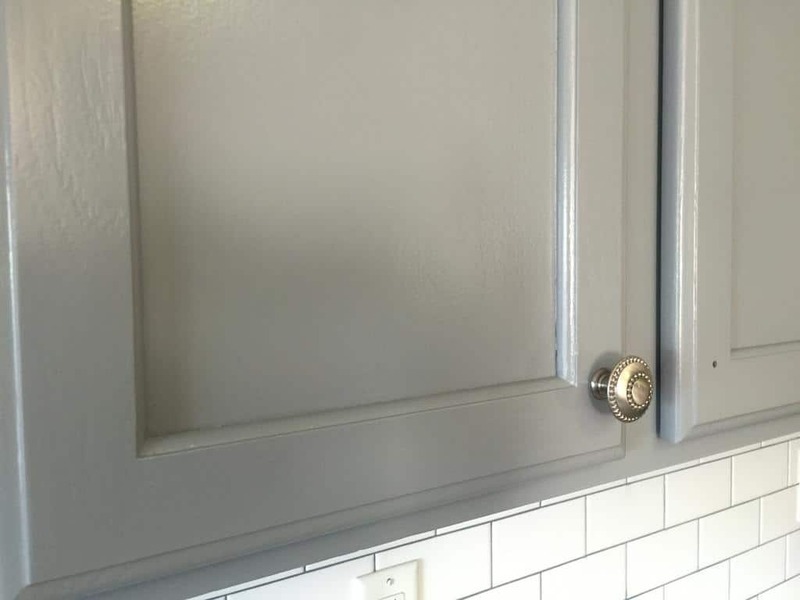 The homeowner first tried her hand at chalk painting the cabinets but didn’t like the finished result. 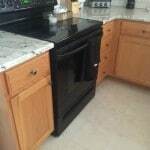 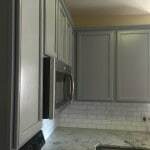 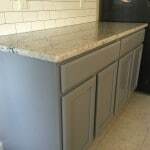 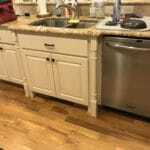 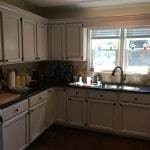 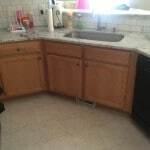 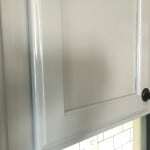 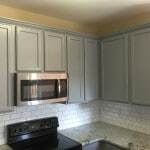 After looking into the cost of replacing the cabinets she discovered the price was about four times the cost over painting. 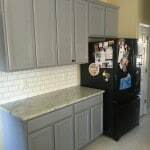 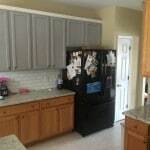 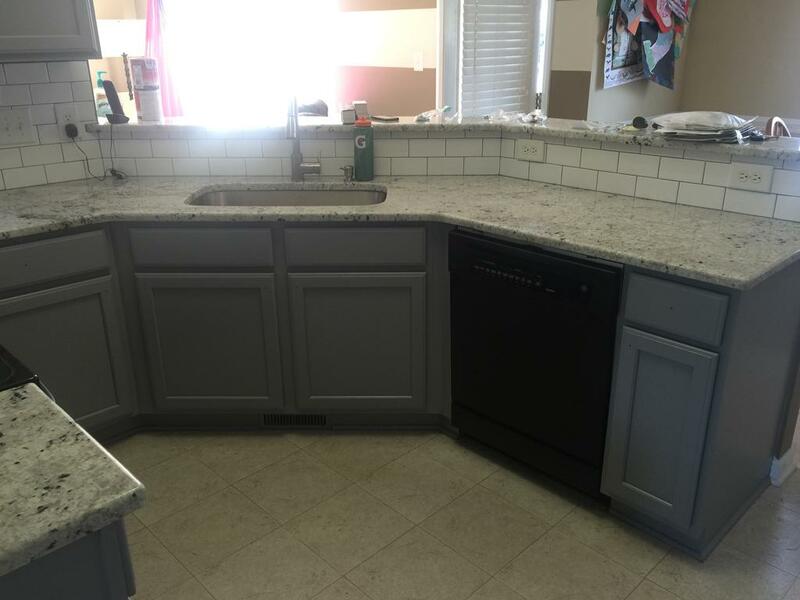 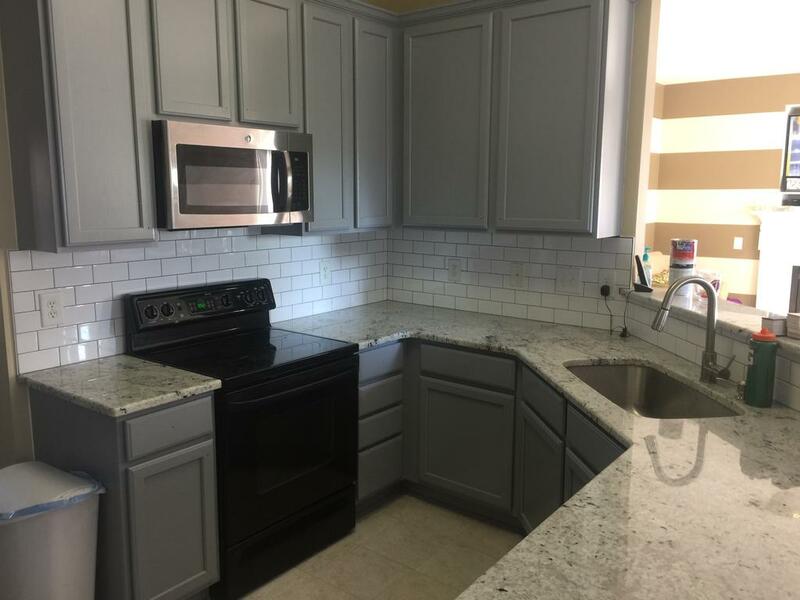 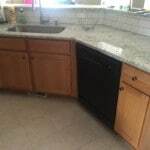 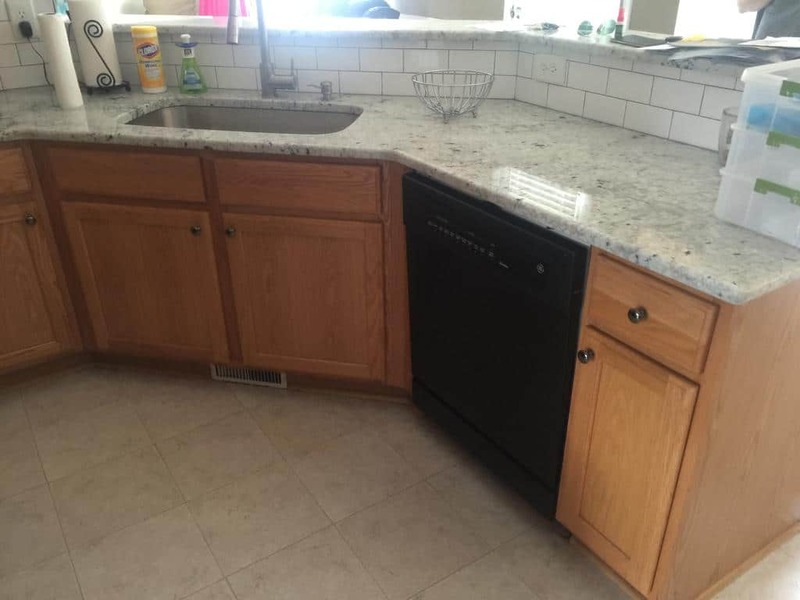 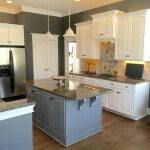 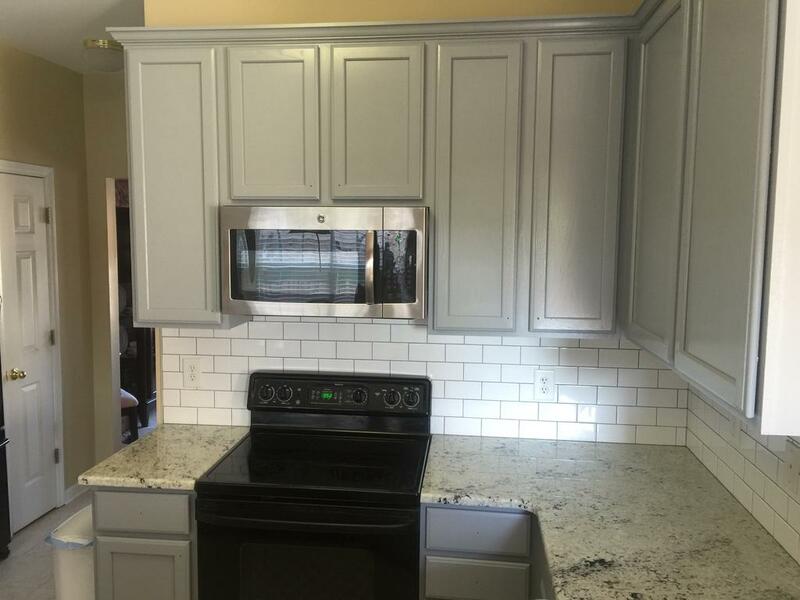 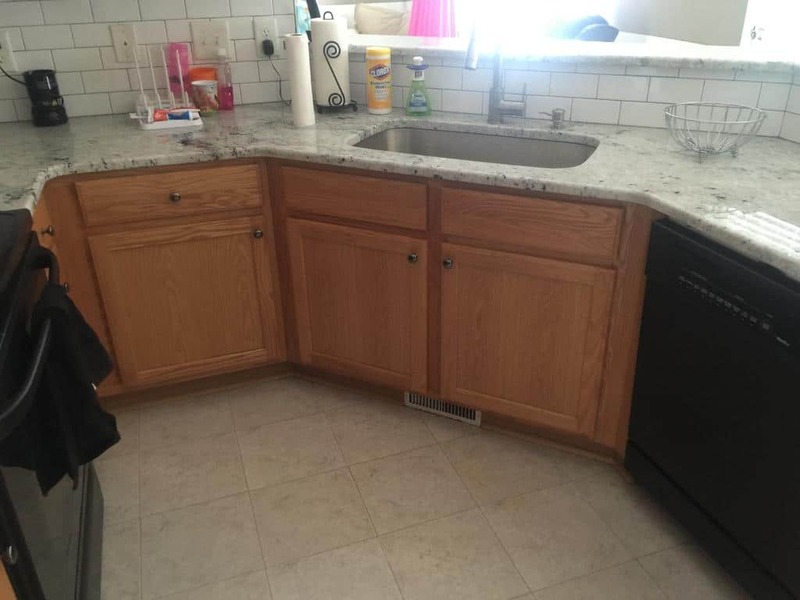 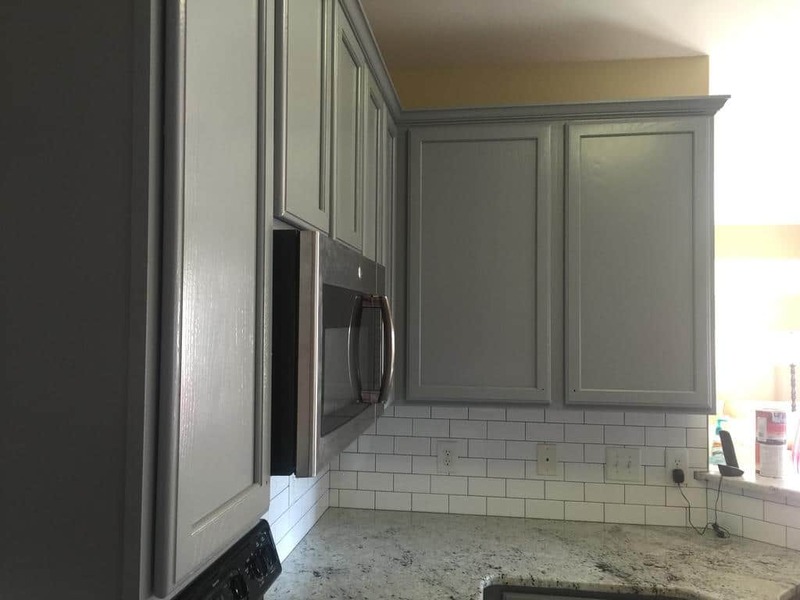 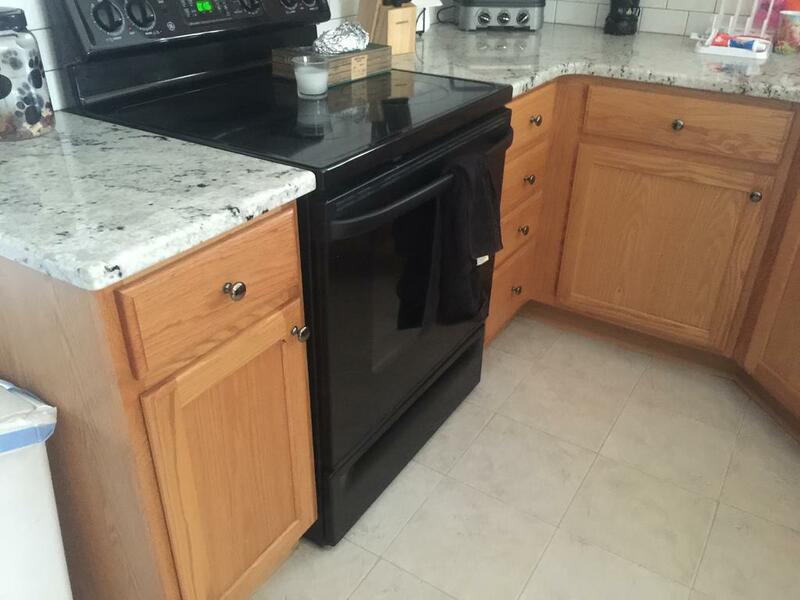 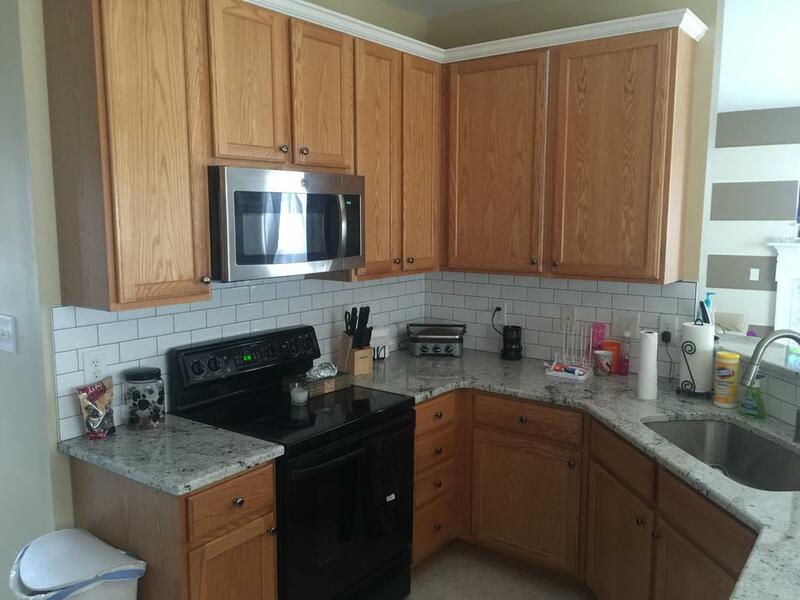 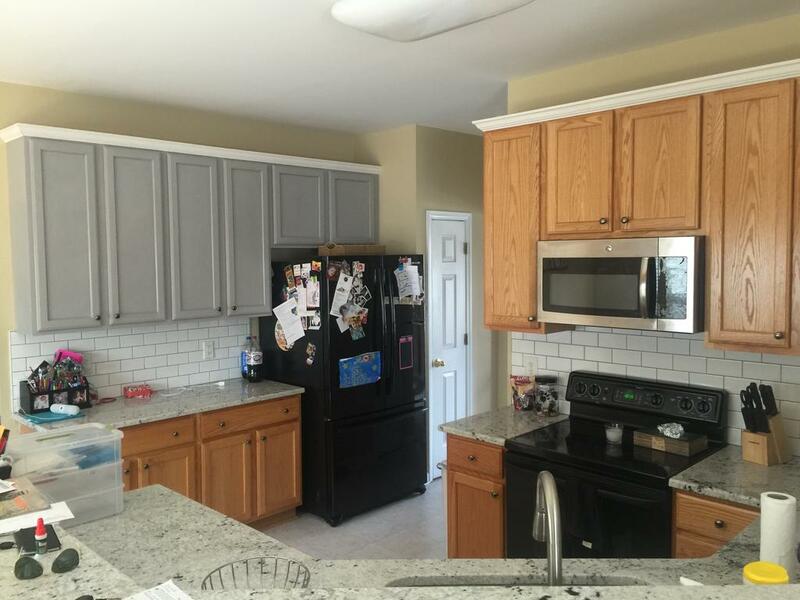 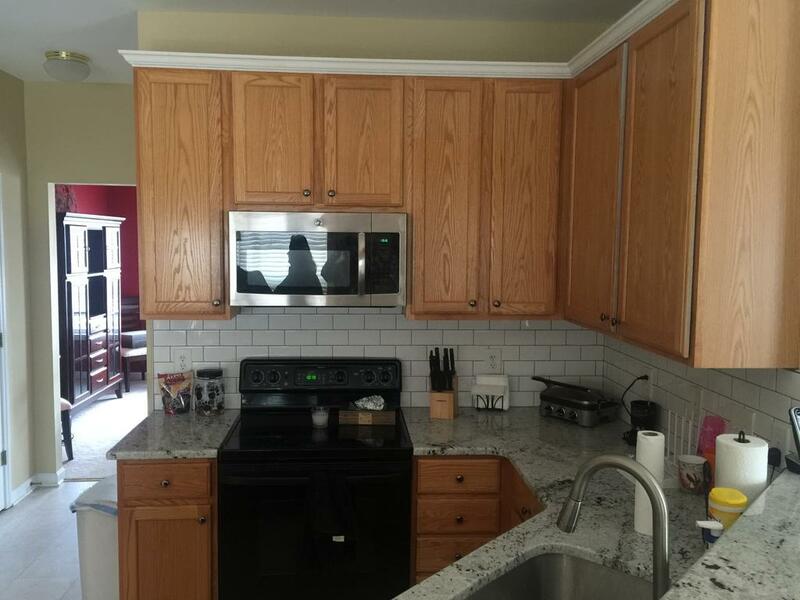 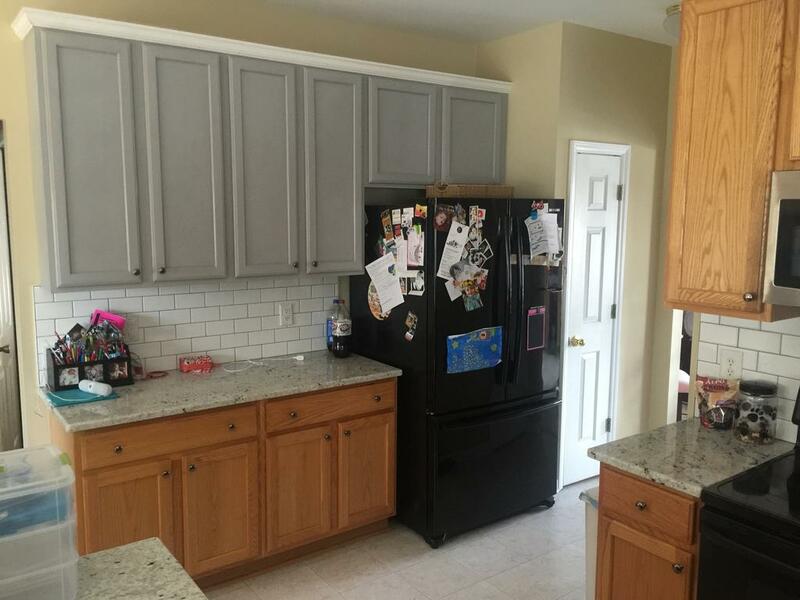 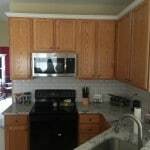 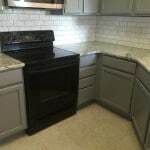 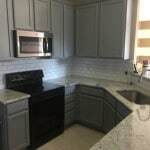 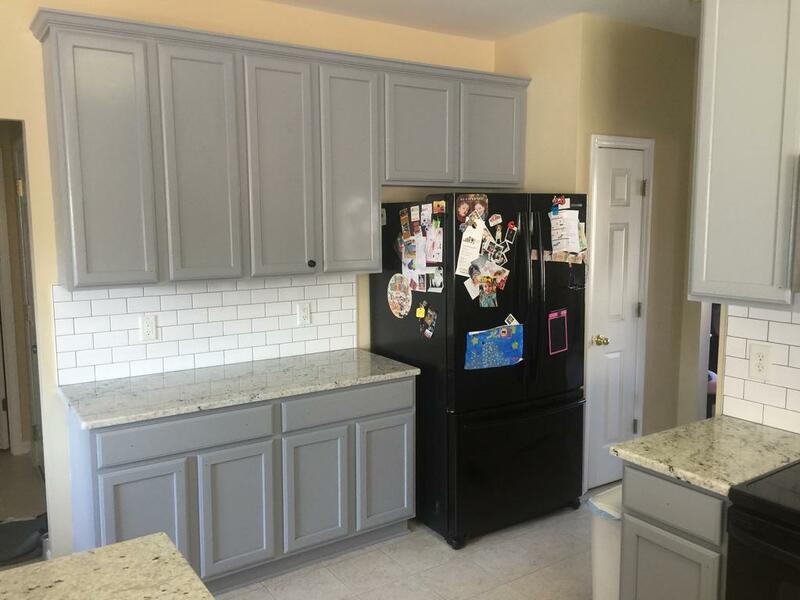 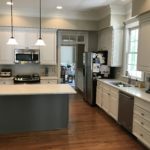 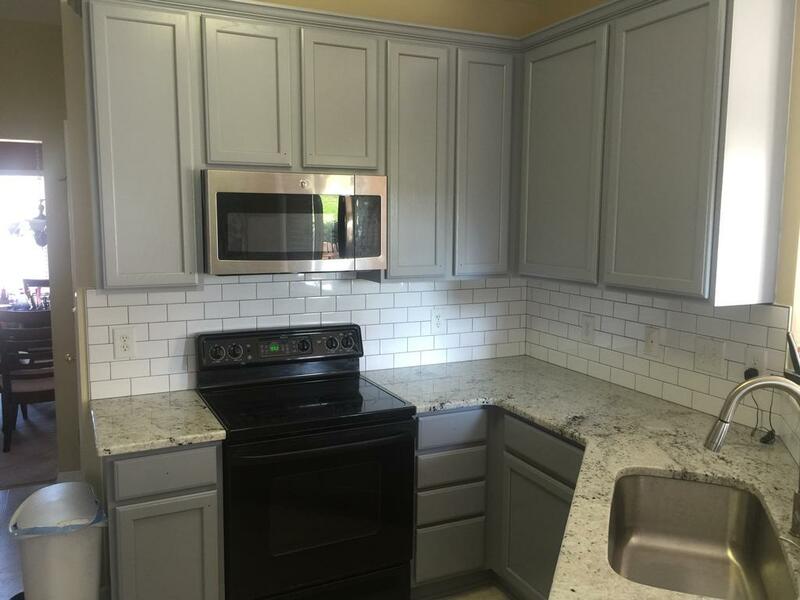 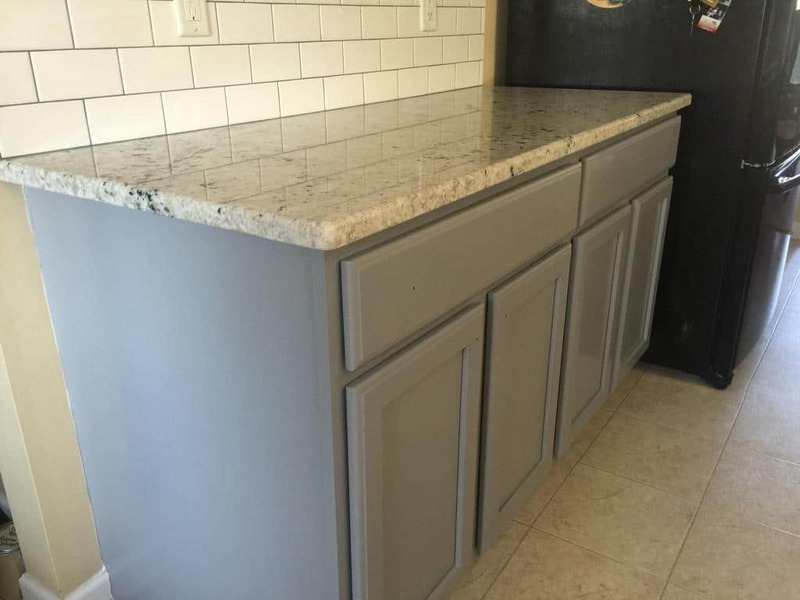 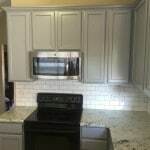 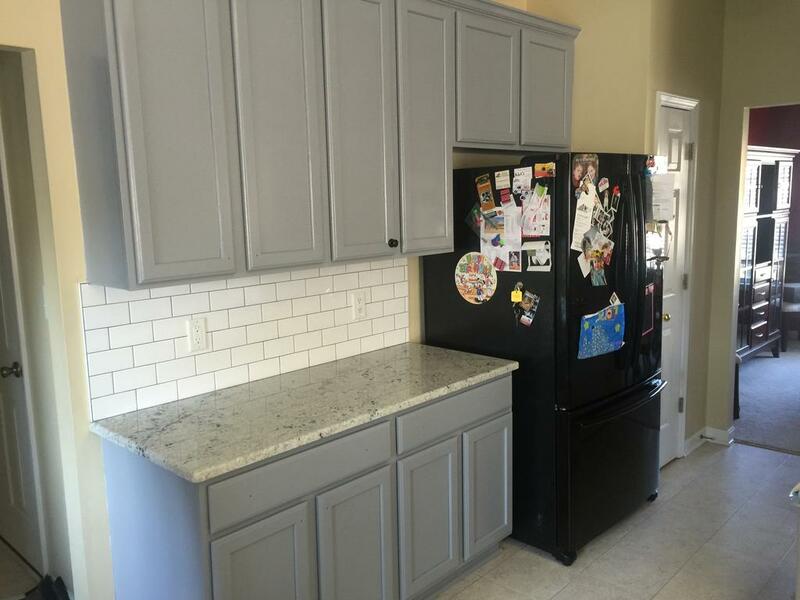 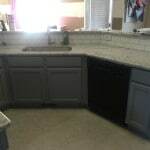 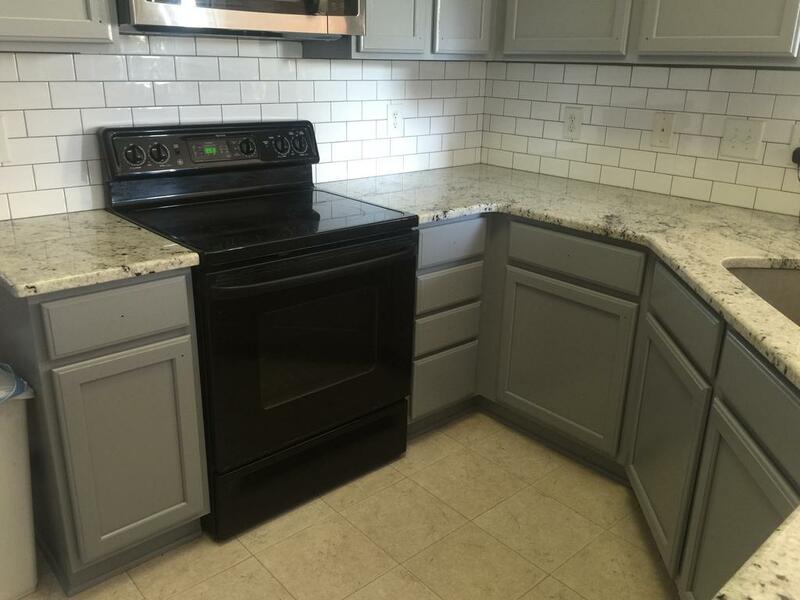 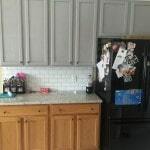 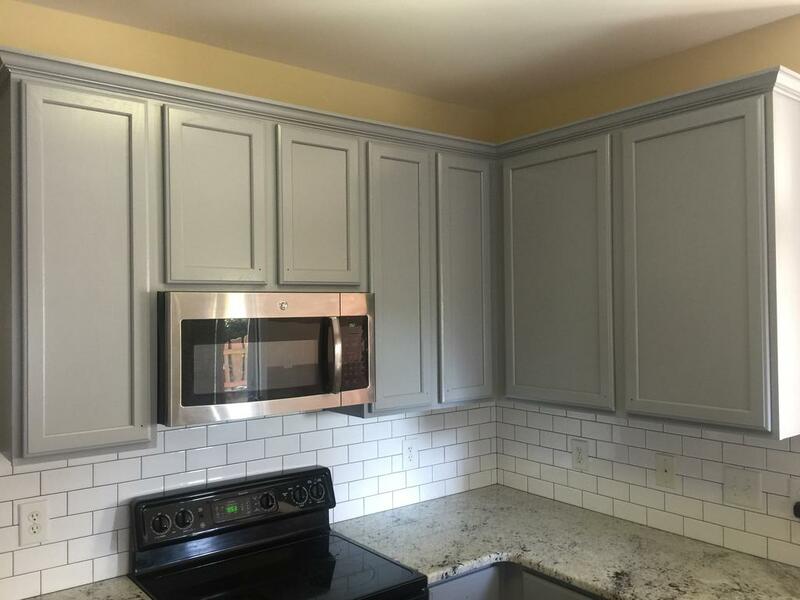 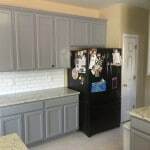 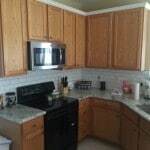 Now they have newly painted cabinets, new granite countertops and a new backsplash for about half the cost of what it would have been to replace the cabinets alone! 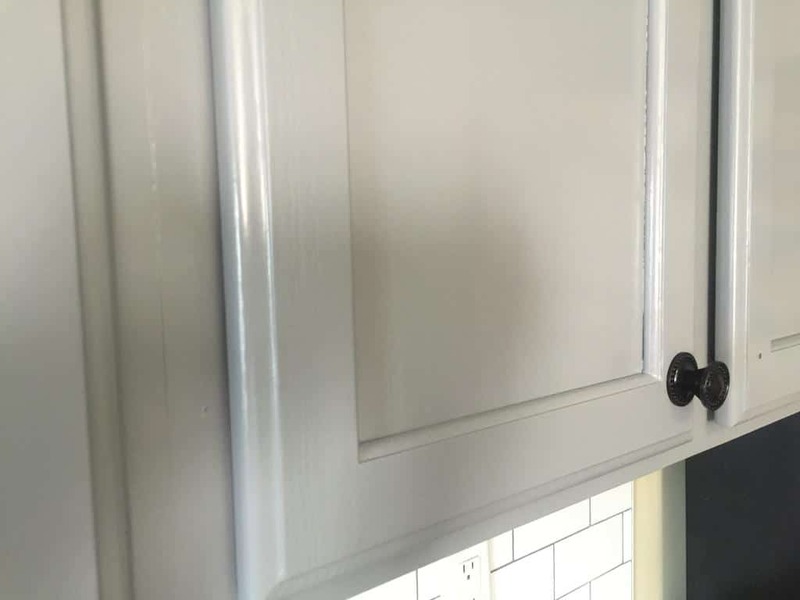 They’re still deciding on which style of door handles they like best and we like either choice so far.